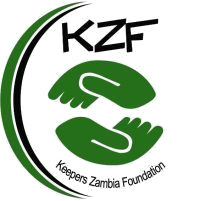 KZF works all over Zambia and keeping track of what’s happening and providing support to remote field staff can be a challenge. During the KYTS-Programme, where we were supporting retailers selling Kit Yamoyo (co-packaged ORS and Zinc for diarrhoea treatment), we developed a tablet-based system to guide retailer support visits. Using these tablets field staff collected key information such as stock levels, prices and sales. The tablets also collected location information to enable us to map retailers (see How we use maps at KZF). So how was this information used and how did it help? The information collected on the tablets transfers to the internet whenever the tablet has an internet connection. This enables the performance of all retailers (and field staff) to be compared across the whole country so that the project can be monitored effectively and managers can identify and provide the support needed by field staff. In the KYTS-Programme, a dashboard like the one below was produced each week using the data collected on the tablets.